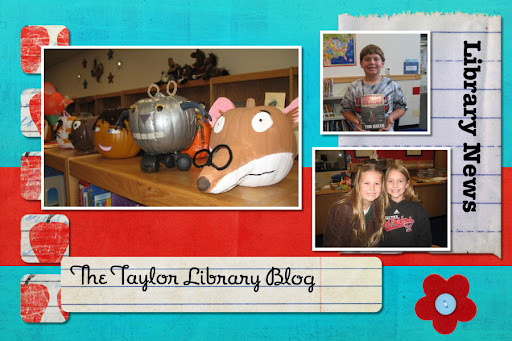 Thank you to all of you who came and shopped at our Taylor Book Fair last week! We had an amazing book fair thanks to all of you. I especially want to thank Mrs. Howard for all of her hard work as our PTA book fair chair. It takes a lot of work to run a successful book fair, and Mrs. Howard assembled a wonderful team of volunteers who set up, ran, and packed up the book fair. As your librarian I am particularly grateful because the library benefits so much from the book fair. In the coming weeks look for many new books to be added to our collection, including many of the Bluebonnet books for next year! These were obtained for our library using book fair proceeds and we are very excited to have them! !